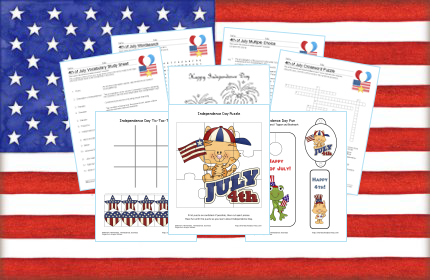 The new 4th of July Printable Pages are up! 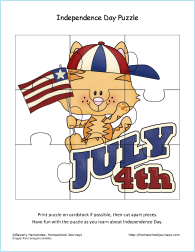 The 8-page printable activity pack is perfect to take along to your holiday festivities to help antsy kids pass the time until the fireworks display begins. They’ll learn terms related to Independence Day, color a picture, play a game of Tic-Tac-Toe and more. I had a couple other things up my sleeve for this packet, but it doesn’t look like it’ll pan out in time. If they do, I’ll add them later and update this post. Have a very happy and safe 4th of July!